You want to get paid fast. And one way to do that is to make the payments process as seamless as possible for both you and your clients. 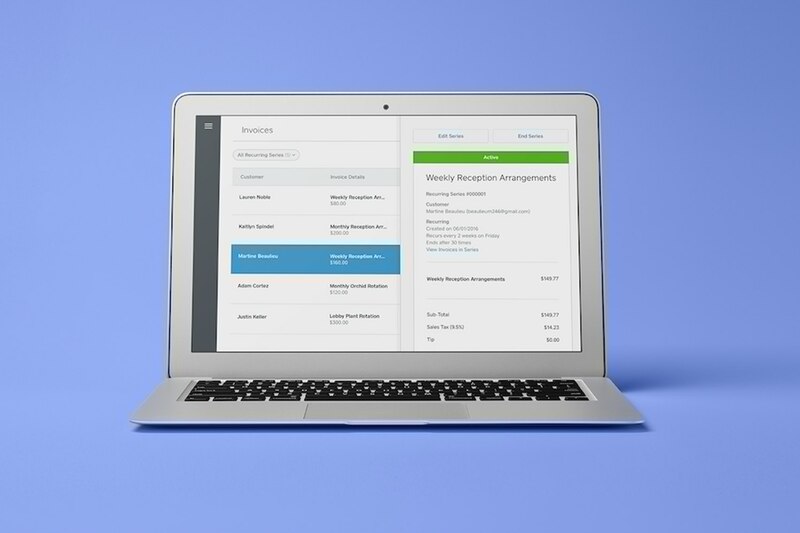 We just added three new features to Square Invoices to help do just that. Securely store your clients’ cards. Square Invoices’ new Card on File feature allows your clients to securely store their credit cards with Square. Then you can automatically charge that card on file via an invoice at a later date. This eliminates needless back-and-forth — clients don’t have to enter their credit card information for every payment. Card on File is great for personal service providers (like dog walkers), as the feature allows you to bill for only what the client owes you. (Fido may have needed an extra-long walk one week, for example, and only a quick outing the next). With Recurring Invoices, you can send invoices and collect payments for the same amount at regular intervals (like each day, week, month, or year). So if you’re a wedding planner, a photographer, or attorney, for example, you can have your clients pay you over time by portioning out the cost of your services in installments. Coupled with Card on File, Recurring Invoices is extremely handy if you’re a membership-based business, like a gym or wine club. You just automatically charge customers what they owe every month (or other intervals). You can also schedule and send individual invoices on the days that are most convenient for your clients — and for your bookkeeping. For example, you may want to send all your invoices out at the end of the month. With the right tools, invoicing doesn’t have to be as much of a pain. Square Invoices helps streamline invoicing with features that automate the most time-consuming parts of the process. Invoices are always free to send. Pay 2.9 percent + 30 cents per invoice when customers pay with credit or debit online. Pay just 3.5 percent + 15 cents when customers authorize you to keep a card on file. See funds from paid invoices deposited directly into your bank account in one to two business days. Learn more about Square Invoices.